I picked up some new seats for the E30 the other day off CL and installed them yesterday. They are very comfy. 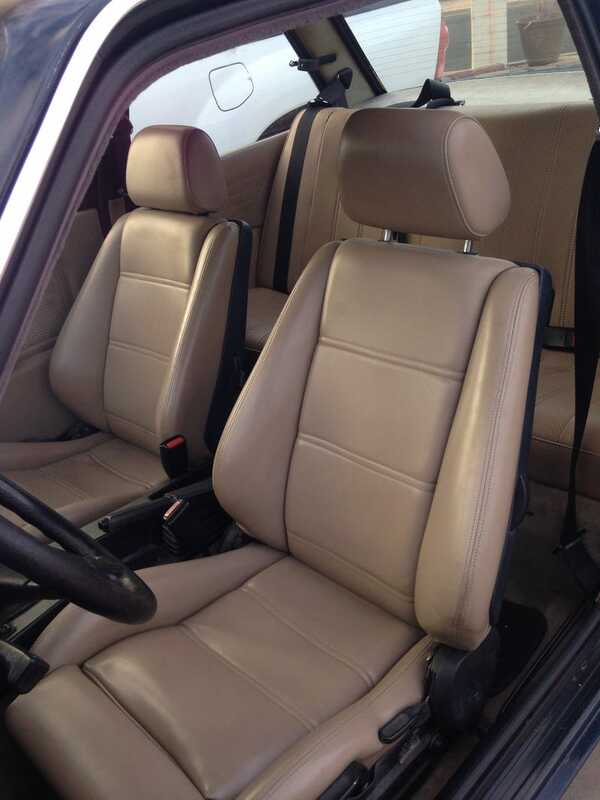 They are tan vinyl sport seats out of a '91 325i. I picked up the rear bench a month ago for super cheap. My original seats were trashed and not worth salvaging. I sorted out the engine issue I was having, and now the only thing left to do is fix the sunroof and solve one more electrical gremlin. For some reason when I turn the wheel to the right, the wire from the turn signal shorts out when the turn signal cam on the steering wheel hits the turn signal switch. It only dos it when turning right. It's a real puzzler. I'll post up a full write up when she's complete.